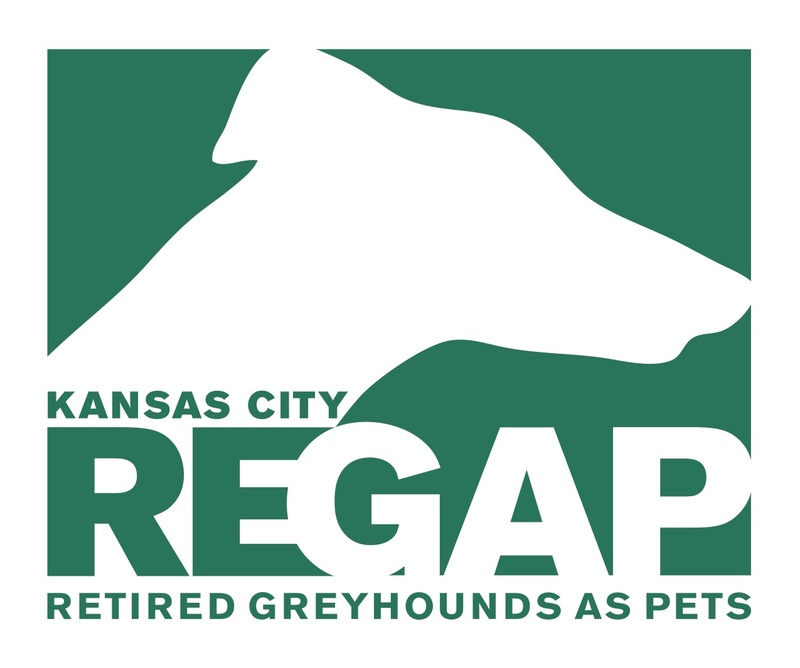 Kansas City Retired Greyhounds as Pets (KCREGAP) is a 501c3 non-profit organization dedicated to finding loving homes for retired greyhounds. Since the organization began in 1990, more than 5000 greyhounds have found their forever homes in the Kansas City Metro area. Though there are no longer greyhound racing tracks in Kansas, the National Greyhound Association remains headquartered in Abilene, KS, along with numerous greyhound breeding farms. Of these greyhounds, some never make it to the track, return to these farms after racing, or are used for breeding, and the lucky ones are then released to adoption groups to find their forever homes. These dogs may be anywhere from under 1 year old to 8 or 9 years old when they come to our group. They then receive any needed veterinary care, including: spay/neuter, dental cleaning, vaccinations, heartworm preventative, and treatment for any intestinal parasites. The dogs are then placed in foster homes so that they can learn “house rules” as many have never been in a home before, and may have never seen stairs, have had a dog bed of their own, or played with toys. These special foster families help to make the dogs’ transition to their forever home a success.